Download the Canon SX200 IS Manual. Check the latest Canon 60D price trend and in-stock availability. The Canon SX200 IS has been superseded by the Canon SX210 IS. Check the most recent updates for Canon SX200 IS price trend and in-stock availability. If you’re considering the SX200, and if you’re interested in a wider wide end, I’d recommend taking DPReview’s advice, and check out the Panasonic ZS3 instead. In my informal hands-on testing, I quickly became hooked on two fun in-camera features: Color Accent mode and Color Swap mode. In Color Accent mode, you can designate a color in your scene as the only color to show up in an otherwise black-and-white photo, meaning you can take no-brainer artistic shots. In the similar Color Swap mode, you can replace all instances of one color in your scene with another color, say, brown with blue. The Canon SX200 was awarded an overall rating score of 4 out of 5 stars. 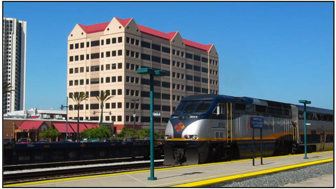 LL compares three cameras, the Fujifilm FinePix F200EXR, the Panasonic Lumix DMC-ZS3 / DMC-TZ7 and the SX200IS in their article titled “Pocket Camera as Visual Notebook“. The SX200 IS is the largest of the three cameras and has the longest zoom and highest density sensor. With 12 MP and a 28-336mm range (f/3.4 — 5.3) it offers tremendous reach for its size, but at the cost of the lens being a bit slow and not quite as wide as that of the ZS3. Unfortunately the image quality of the SX 200 isn’t up to that of either of the other two cameras in this comparison. Purple fringing is very apparent, and high ISO (above 200) starts to smear and lose resolution quite readily. As we said at the top of this page, the PowerShot SX200 IS is Canon’s first attempt at a pocket super-zoom, and it’s certainly impressive, packing a 12x zoom, 3in screen, HD movies, an HDMI port and full manual control into a pocketable form factor. Viewed in isolation it’s a highly compelling prospect. Take note that Gordon favors buying the Panasonic Lumix DMC-ZS3 / DMC-TZ7 instead, and lists the reasons why, on the verdict page. The Canon PowerShot SX200 IS’ manual exposure modes might tempt keen photographers, but these are undermined by the awkward controller. The image stabilisation is good, but the pictures are average. You’d have to be a real Canon fan to pick this camera over its rivals, which include the smaller, cheaper and much better Panasonic Lumix DMC-TZ6. Noteworthy is Rod’s preference for the Panasonic DMC-ZS1 / DMC-TZ6 camera. On the one hand, the Canon PowerShot SX200 IS is both seemingly everything our editorial staff looks for in a camera, and everything we’ve come to expect from Canon. It’s a solid, better-than-average performer in most respects, with great zoom range, wide-ranging control options to please everyone from novices to enthusiasts, a lucid interface, 720p video capture, and decent construction. Ezzelin has posted a lengthy review of the SX200 IS on DPReview, and is happy with the purchase. It has tons of features. The camera goes into a small, neoprene case which fits into the front pants pocket. The flash pops up when the camera is turned on, stays up until the camera is turned off, and cannot be manually retracted. There is no live histogram function, but blinking highlights display is availble during playback. The review histogram is very large, and can be set up to automatically come up as soon as the shot is taken. Alternatively, you can set the camera so that focus check is displayed instead. Detail at ISO 400 is retained rather well, and higher ISO capabilities are impressive as there is some luminance noise, but not much. Ezzelin shares some high ISO shots here. CA (chromatic aberration) gets worse as you zoom in. The 720p video is of a very high quality, and has the most detail Ezzelin has ever seen on pocket cameras. The bitrate averages about 23,000 to 24,000 kbps. Custom color and sharpness settings can be applied to the video, allowing for post-editing enhancements later on. The focus is fixed once video capture starts, but Ezzelin feels that this is not too big an issue. The rear LCD is big and bright, and the image can still be viewed even in bright conditions. Jeff Keller, the reviewer, reveals that Canon no longer bundles a free memory card with the camera, so it’s best to get at least a 2 GB or 4 GB SD or SDHC card. For best video recording performance, purchase an SDHC card with a minimum of Class 6 speed specification. 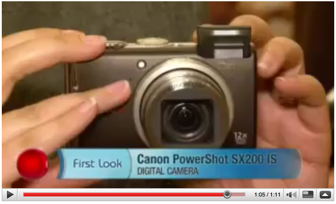 The PowerShot SX200 is a more “upscale” version of the SX100 and SX110 that came before it. It has a compact (by ultra zoom standards) body made almost entirely of metal, and it feels very solid. The only weak spot is the somewhat flimsy door over the battery/memory card compartment. The camera is easy to hold, with a nice spot for your right thumb, and easy access to the most commonly used controls. The SX200’s flash pops up automatically when you turn the camera on (and stays there), but Canon thoughtfully left room for your fingers right behind it. Unlike on the Panasonic ZS3 / TZ7, you don’t get stereo sound recording with the SX200 IS, so audio quality is better on the Panasonic. The same things that I’ve written over the last year about Canon’s compact cameras can basically be repeated here. The PowerShot SX200 produces very good quality photos, given that there’s enough light. Exposure is generally good, though like most point-and-shoot cameras, it’s prone to highlight clipping. Colors looked great — I have no complaints there. Photos have that trademark Canon smooth look, which I always find quite appealing. Canon seems to use more noise reduction on their DIGIC 4 cameras than they used to, so details are a bit more smudged that PowerShots of years past. Even so, the SX200 still does better than most ultra zoom cameras when it comes to detail retention. Purple fringing levels were low to moderate. 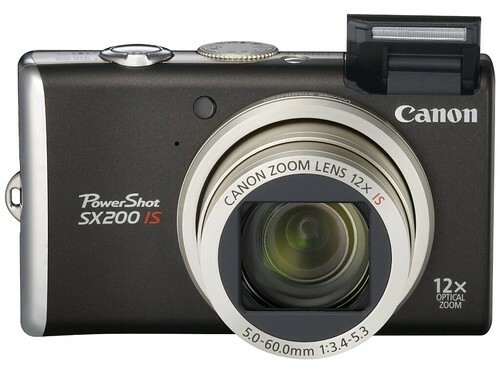 The Canon PowerShot SX200 IS is a very capable and compact ultra zoom camera. It offers very good photo quality, a 28 — 336 mm lens, a nice combination of automatic and manual controls, a large LCD, and a HD movie mode. It’s not perfect though; it has a weak, slow-to-charge flash, battery life is below average, and you can’t zoom while recording a movie mode. Despite that, the PowerShot SX200 is a good choice for a travel camera, and it earns my recommendation. PB got to play with the Canon 200 IS at the London launch, and in their Canon SX200 IS Hands-On article, they write that the SX200IS was bigger and chunkier than the equivalent Panasonic Lumix DMC-TZ7. The Panasonic TZ7 / ZS3 will very likely be the competing camera to the SX200 IS. 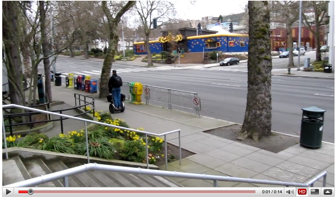 Click the thumbnails to view the video clips in a new browser window. Go to the bottom of DCR’s SX200IS review where you’ll find 8 thumbnails that will take you to full-resolution images when clicked on. Visit DCResource’s Canon SX200 IS review, and scroll down until you reach almost the end or the article where the link to the movie is found. Alternatively, right-click this link to save the 31.9 MB, 1280 x 720, 30 fps, QuickTime format video clip to your hard drive. Click to view Ezzelin’s HD (high definition), 14-second footage on YouTube in a new browser window. The lens on the SX200 was zoomed out to the extreme wide-angle focal length, which is 28mm in 35mm equivalent terms. You can download the original file at MediaFire. Ezzelin shares a method for using the “Program Shift” function, which is not properly documented in the Canon SX200 IS manual. Here’s one thing that I discovered about it that I didn’t know: it does have program shift! However, it’s undocumented in the manual and a little hard to do. Here’s how it works: First, you half press the shutter button. Then, while holding that down, you press up on the wheel. This locks your exposure (AE lock), or flashes the flash and locks the exposure if the flash is enabled (FE lock). If you’re using AE lock, you can then spin the wheel and select between different equivalent exposures if more are available. A little inconvenient, and I’m not sure how much I’ll use it, but it’s there, and the dcresource review said it wasn’t (and it isn’t in the manual in the AE lock section, either.) There are grayed out arrows that show after doing FE lock, so it might be possible then, too, but I’ve never seen the arrows anything but gray. I took a few more shots comparing the sharpness modes, and it looks like Sharpness -2 is definitely the way to go, as I expected. The images can be sharpened to the level of Sharpness 0 in post without as many halos, and the files usually come out 200KB or so smaller due to having less noise to compress. One more neat thing I’ve found is that the camera can take fairly good macro shots at just shy of 50mm equivalent (47ish). Right around that point, the camera switches from 15cm min focus to 35cm min focus in Macro mode. So if you zoom to the focal length right before the switch, you can take fairly close macro shots at a good working distance with nice DOF control and very low, if any, barrel distortion. The minimum f stop is still 4.0 at this focal length, as well. It’s certainly a good sweet spot for the lens. So, set the focal length of the lens just slightly shorter than 50mm, and stop down the aperture to f/4 for close-up shooting. 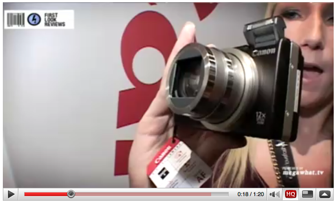 Official Canon SX200 IS page at Canon USA.